I'm a huge fan of Italian food and especially a good lasagna. The problem is, I don't make it very often because it's time consuming and it's not a very easy recipe to make. I found this one though and it is DELISH! Easy to make and you can make it while you're at work so it's ready when you get home and the house smells amazing! You can use any veggies you'd like. Zucchini, tomatoes, eggplant....they're all great options. Kale is what is included in this recipe (1) because it's very healthy and (2) because it's something I always have in the fridge. So, enjoy and let me know what you think! Spray the crockpot with nonstick cooking spray. Spread ½ cup tomato sauce to the bottom so the noodles don't stick. 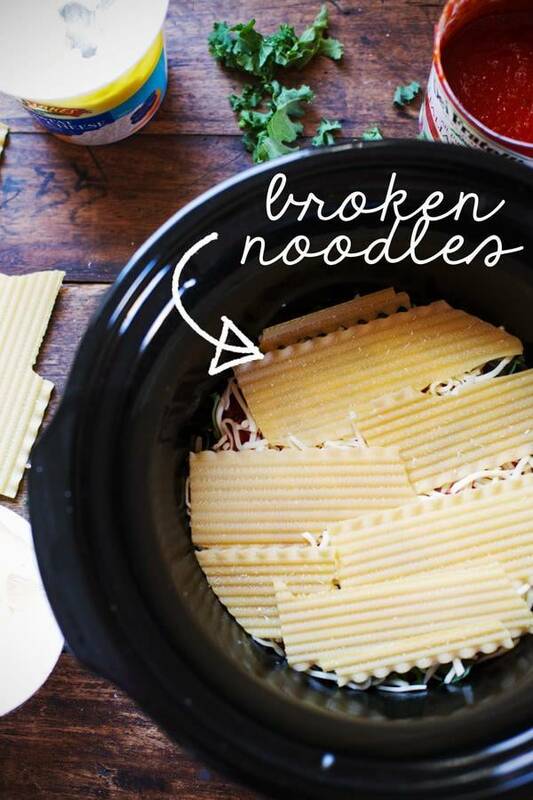 Break noodles so that they fit and mostly cover the bottom. They will probably be awkward looking - not a big deal. Cover with about one third of the ricotta, veggies, sauce, cheese, and end with noodles. Repeat layers two more times for a total of three complete layers. End with a layer of noodles on top, covered with a thin layer of sauce and a little bit more shredded cheese. Cover and cook on high for 3 hours or on low for 5-6 hours. 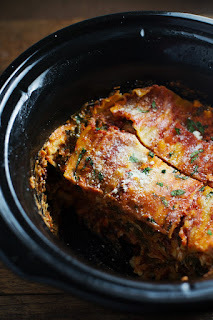 Turn the crockpot off completely and let the lasagna sit for at least one hour. 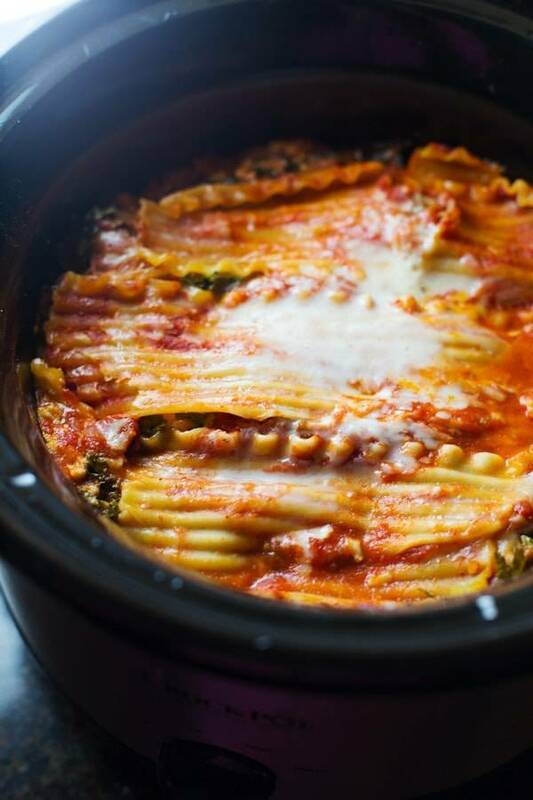 This allows all the moisture to get soaked into the lasagna, and if you don't do this it will probably be more like lasagna soup - still good, but not pretty. 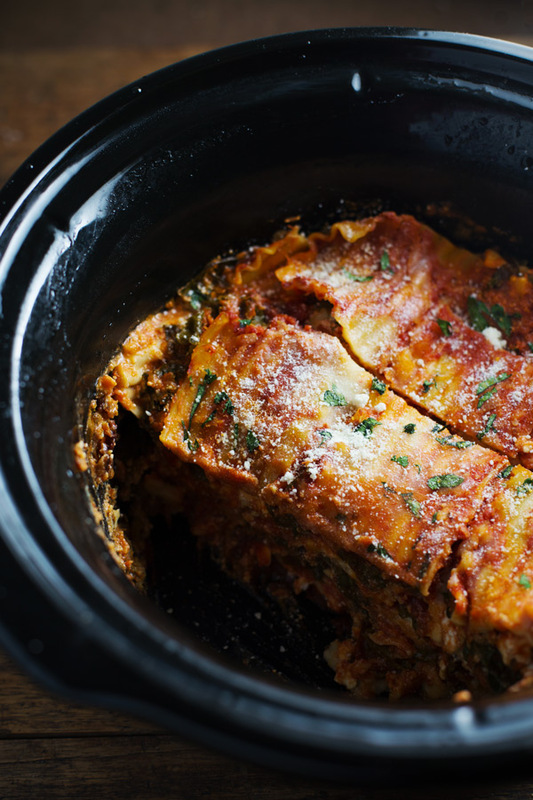 Depending on how long you let it sit, you can either scoop pieces out or just cut with a knife like normal lasagna. You don't have to use all of the sauce in both jars - I probably used a total of 36 ounces (about one and a half jars), and it was really saucy. Pumpkin Pie with Whole Wheat Crust!